Quick note: I copied this word-for-word, including all of the spelling and other kinds of errors. I have the suspicion that Elijah Wood didn't say most of these things (he knows more about Fangorn, doesn't he?). "Q. What obstacles do the hobbits face? Elijah: They have to go through the Dead Marshes, a hostile area with dead soldiers who come to life and try to take you under water. Q. What scary creatures does Frodo encounter? Elijah: The scariest thing is a secret. But one creepy thing is Gollum. By looking at him, Frodo sees what could happen to him if the Ring gets its way with him. Q. Why don't the Ring's powers affect Frodo as much as everyone else? 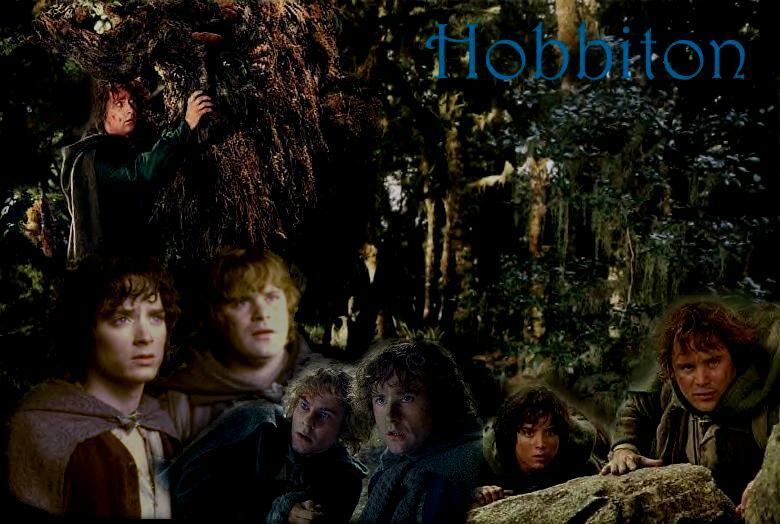 Elijah: Hobbits' innocent souls are like a built-in armor that helps them withstand the Ring. Q. What cool places in Middle-earth will we see? Elijah: The Fanghorn Forest, which has amazing Treebeards -- walking, living trees. Q. Why are Frodo and Sam such good friends? Elijah: They work well together. Frodo has wisdom and knowledge; Sam has courage." "Q. What is the coolest thing your character does in The Two Towers? Sean: He battles with Gollum, and he confronts Frodo, which is a very un-Sam thing to do. But Sam is not "Action Hobbit" this time around. In one place I do some repelling down a cliff with some Elvin rope, which required some skill. But, mostly, Sam just eats a couple of stewed rabbit. Q. Tell us about the Elvin rope -- what's that? Sean: It's magic! It knows what you need it to do. For example, if you tie it to a rock, and climb down a cliff face and you can't go back up to untie it, it will magically untie itself for you. Q. What obstacles do Sam and Frodo face? Sean: Well, we get lost. You know, there are no road signs on the way to Mt. Doom! You just have to hope you hook up with the right people. And we get captured at one point. And Gollum -- he's a tricky guy to deal with. When he was in possession of the one Ring for a long time, he didn't age. But then when he lost the Ring, all the years that passed caught up with him very quickly. So Gollum has a lot of attitude and isn't a happy camper. Q. Is Gollum the scariest thing you and Frodo meet up with in this movie? Sean: No -- there are these winged Nazguls [pronounced naz-ghouls] that we come up against that fly and shriek. And they're hunting Frodo! Q. Why does Sam stick with Frodo? Sean: Part of it is the way Sam was raised. His father worked for Bilbo Baggins, so he took on the job of looking after Frodo Baggins. It's in his character to be loyal. It's an admirable quality and that's why people love Sam. Q. How do Sam and Frodo defend themselves without the Fellowship? Sean: Sam and Frodo have to rely on each other and on their wits and their courage. They have to be brave and continue into the unknown."